The book “ A New Approach to I.C.S.E. Physics Part 2 for Class X ” has been revised and updated in accordance with the latest syllabus of physics prescribed by the Council for Indian School Certificate Examination, New Delhi for Class X of Indian Certificate of Secondary Education (I.C.S.E.) Examinations. The main strength of the book lies in the subject matter and the experience that a student will get in solving the difficult and complex problems of Physics. Stress has been laid upon mastering the fundamental principles of Physics, rather than specific procedures. The visual appeal of the book together with the material makes studying physics an enjoyable experience. Our long tenure as physics teachers and interaction with students have helped us immensely in the presentation of this book. Thoroughly revised and upgraded as per the latest syllabus. Written in a very simple and easy-to-understand language. 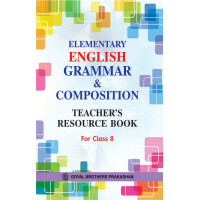 All the topics in the syllabus have been systematically covered in the text by first introducing the basic concept and then gradually going deeper into the topic. Explanations, Illustrations, Diagrams, Experiments and Solutions to Numerical Problems have been included to make the subject more interesting, comprehensive and appealing. To facilitate study, all the important definitions have been highlighted in italics and all important expressions in bold. Diagrams and illustrations have been drawn keeping simplicity as the main criterion so that they can be easily reproduced by teachers and students. Important differences have been provided in tabular form. The important questions at the end of each unit within a chapter have been given. The series Goyal’s IIT Foundation Course – Physics for Classes 6 to 10 has been designed t.. This workbook supplements the textbook Learning Elementary Physics for Class 6. In this workbook, th.. This workbook supplements the textbook Learning Elementary Biology for Class 6. In this wo..